Our text Bible verse is amazing! Our Lord Jesus Christ told His Jewish audience that the reason why they wouldn't believe Him, is because HE WAS TELLING THEM THE TRUTH. Think about that! Why oh why would a person, or group of people, not want to believe someone who is telling them THE TRUTH? Volumes of books have been written on this very subject. Human beings are a strange bunch indeed. Even the most gullible ones, have some doubts from time to time, most likely, when the same person has fooled them dozens of times. But even when that happens, they do everything they can to overcome these doubts and suspicions. Why is that? Because, when they start examining facts and arguments, there is a chance they’ll prove that they have wrongly believed in lies and liars all that time. Making peace with this awkward truth is a lot of trouble, and they know it. To hell then with clues and evidence! They don’t want to get in the uncomfortable state of disenchantment, of accepting that their expectations were faulty. That they have been tricked. They’ll keep believing this crook. As a financially dependent wife would do with her husband; she’ll keep believing he was on a business trip even when she sees the red marks on his shirt. I lieu of the preceding accurate information, I am particularly reminded of today's raging battle in the churches over the inspiration and purity of the Word of God. Today's average churchgoer is extremely naive, gullible and indifferent toward THE TRUTH. I included some expanded quotes for reasons 4 and 5 above, because these reasons in particular apply to the tens-of-millions of deceived churchgoers worldwide, who've bought into the Devil's lie of the modern Bible PERversions. The Devil is the father of the corrupt Alexandrian Greek manuscripts, upon which nearly every new Bible revisions has been horribly translated. Think about it, if you were the Devil, wouldn't you do everything in your power to corrupt, change and remove the Word of God from the lives of men? Sure you would, and Satan has been doing his darndest for millenniums to rid the world of the inspired Word of God. If Satan can't totally eradicate the Holy Bible, then he tries to ban it. If Satan can't ban the Holy Bible, then he tries to change and corrupt it. And if Satan cannot eliminate or corrupt the Word of God, then he leads men to question it... “Yea, hath God said?” (Genesis 3:1b). 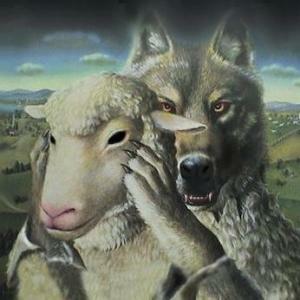 And so sadly, multitudes of Bible colleges and churches have been deceived by the Devil, voluntarily. Jeremiah 5:31, “The prophets prophesy falsely, and the priests bear rule by their means; and my people love to have it so: and what will ye do in the end thereof.” Today's horrible churches are just as much to blame as today's horrible pastors. If your church hires a false prophet, or a shady character who straddles-the-fence doctrinally, then you get what you deserve... A LAODICEAN CHURCH!!! (Revelation 3:15-16). Bless God, I'm eternally grateful for the King James Bible, and if that makes me part of a cult, then so be it. My friend, think about how silly the accusation of being in a “cult” is. God only wrote ONE BIBLE! Does that make me a cult member for sincerely believing that God has preserved that ONE BOOK, as He promised to do in Psalms 12:6-7? Of course not. In Psalms 12:6-7, God promised to preserve His very pure Word unto every generation. Check and you will see, that EVERY modern Alexandrian-based Bible version, changes Psalm 12:7 to errantly say that God preserves the saints instead of His very pure words. This is gross theological incompetence in the modern PERversions!!! The ugly truth is that in order to obtain a legal copyright from the U.S. government, so they can sell their new corrupt version, they MUST make numerous changes which differ substantially from all existing Bible versions. You can easily verify what I say by searching through the various versions available online, seeing how they all slightly (and oftentimes drastically) alter God's Word. They corrupt God's Word, handling the Word of God deceitfully, for filthy lucre's sake. I couldn't have said it better myself. That is why I have been excommunicated, shunned and driven away by a local independent Baptist church on Guam (aka, the Bob Jones crowd) since 2014, after I handed the senior pastor the TRUTHFUL book by Dr. Al Lacy titled, “NIV: The Antichrist's Bible!” Boy, that opened a Pandora's Box!!! Are you seeing it my friend? The Devil has effectively BLINDED THE MINDS of unbelievers, with the corrupting new Bible versions that pervert the Gospel, to hinder them from being saved. Many tares have crept into the churches, trying to convince everyone that the Devil's Bible versions still contain the Gospel, but THEY DON NOT!!! Please read my recent article, “The Fallacy of Thinking People Can Be Saved Through the Modern Alexandrian Bible Versions.” If you are dumb, the Devil has a new Bible version for you too!!! This explains why the Bob Jones crowd and their graduates turn a deaf ear toward truth-tellers like me, who have nobly befriended them with THE TRUTH. Not too long ago, I was listening to the religious radio station of a local independent Baptist church (they employee several dozen BJU graduates in their religious school with about 1,000 students). I heard a guest evangelist, Tom Ferrell, teach that a friend helps a friend to see. Ironically, those hypocritical pastors (of that same church) kicked me out the door, and have shunned me away since 2014, because of my King James Bible ONLY stance. They literally called me and Dr. Jack Hyles and Dr. Al Lacy, “a cult” for preaching against the Alexandrian Bible PERversions. In February of 2017, the senior pastor referred to me as one of their “enemies” in an e-mail. THOSE SHAMEFUL PASTORS ARE THE ENEMIES OF GOD!!! While I pray for those men the truth to search, they are merely playing church. While I earnestly contend for the faith, they foolishly spit in God's face! SOURCE: a heartfelt truthful poem by David J. Stewart; July 6, 2017. I like that poem, because it is THE TRUTH!!! 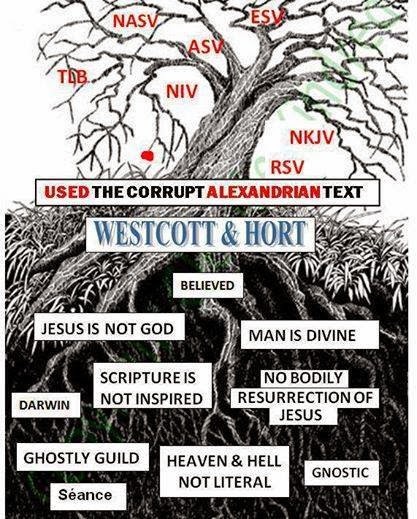 Any religious college or church that supports the corrupt Alexandrian Bible versions (i.e., all modern perverted Bible revisions) is pulling on the same rope as the Devil, helping hinder men from believing THE GOSPEL!!! Have you believed a lie my friend? Where do you fit into the equation? How do the FIVE reasons given for, “Why People Are So Easily Deceived,” relate to you? There is NOTHING more important than THE TRUTH. John 18:37, “Pilate therefore said unto him, Art thou a king then? Jesus answered, Thou sayest that I am a king. To this end was I born, and for this cause came I into the world, that I should bear witness unto THE TRUTH. Every one that is of THE TRUTH heareth my voice” [emphasis added]. I am of THE TRUTH!!! I hear the Lord's VOICE because I am OF THE TRUTH!!! John 14:6, “Jesus saith unto him, I am the way, THE TRUTH, and the life: no man cometh unto the Father, but by me” [emphasis added]. Today's shallow churchgoers, shameful pastors, apostate religious institutions, sinister ministers, preacher's cemeteries and evangelists of doom, are not OF THE TRUTH. The King James Bible ONLY crowd are OF THE TRUTH!!! The easy-believism crowd are OF THE TRUTH!!! The faithful believers who expose the satanic Alexandrian Bible versions are OF THE TRUTH!!! The faithful Christians who refute the Devil's heresy of Lordship Salvation are OF THE TRUTH!!! The sad TRUTH is that churchgoers and pastors today WANT TO BE DECEIVED. Jeremiah 5:31, “The prophets prophesy falsely, and the priests bear rule by their means; and my people love to have it so: and what will ye do in the end thereof.” Where are the 7,000 faithful knees who have not bowed to Baal today? It's Time To Come Out Of The Closet! (awesome MP3 sermon by Dr. Hyles). The King James Bible is under relentless attack, where are the 7,000??? Have you been deceived? Have you believed a lie?